When people decide to fight with someone, there’s usually a reason behind it. Something (or someone) has become a problem. We don’t always like to admit that it’s a problem, though, so we use another word to talk about something that isn’t working right. We call it an issue. But this meaning definitely isn’t a secret. When you have an issue with someone or something, you have a problem. Having an issue with a person usually means there’s going to be a discussion or a fight. If you have an issue with the person you’re dating, for example, it might cause the relationship to end if the problem isn’t taken care of. If you have an issue with your parents, on the other hand, you’ll probably have to solve the problem if you want to continue talking to them. An employee who has an issue with his or her boss might get fired or quit if things don’t change. Whatever the case may be, there’s always tension when there are issues. 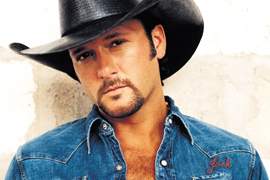 Country singer Tim McGraw said he likes to take care of relational problems as soon as possible. Whenever he has an issue with someone else, he’ll talk directly to that person instead of telling other people about the problem. For him, it’s not important to always agree with everyone, but he still thinks people should be able to get along. What kinds of issues do you have with people or things? How have you solved a relationship problem in the past? Having a problem with someone. when having an issue someone, you have to point out what is the matter through talking with it face to face. the matter was clear to get it for both sides. If no one never step to agree and other side insist to be obnoxious, solution is not to agree. we don’t have to agree everthings. solving it or not,it depens on what the issue is .if it is a baseline and principle one,no Compromise,if not, some Compromise is ok.as for friendship,it is not so easy to find a heart friend,treasure it when there is an issue with ..
We’re living in a world plenty of issues, so you can try and try to don’t have issues, but you’ll end up having issues. Personally I’m a problems solver, I don’t really want people to have issues, but it all the time happens. As long as we’re living in the world issues are with us ! In my opinion it’s not always necessary to find a solution for the problem, and also to talk directly to the people I’ve issues with. Sometimes, as a few people have already said it in the comments below, it’s the easier way to just cut off relations to them. But sometimes it also seems to me like an excuse given to get out of trying to solve these problems. I mean, I personally feel better if there aren’t any people that I’ve an issue with. For instance, if I have a problem with someone from my football team it’s important to solve it. In a team it’s important to get along with each member, it’s not necessary to be good friends with everybody, but at least you should respect them and their opinions. if i have an issue with some one i never look back again.. i cut it .. more merits are waiting for me than demerits..
if i have an issue with someone i cut my relatio. i cant change everything but i can be far from challenging with some persons. I have a worry, concern or problem with something or somebody. I try don’t have issues. But if it happens I try to resolve it without a fight. If i have an issue with people ,Firstly i will try to find problem from myself .if it is my fault i will apologize.Well ,There are millions people in the world but only a few of them you met and became your workmate ,friends.